Snap elections are likely to decide Macedonia's EU future after most people failed to vote in a referendum on changing the country's name. Just 36.5 percent of eligible voters turned out on Sunday (30 September) to answer the question: "Are you for EU and Nato membership by accepting the agreement between the Republic of Macedonia and the Republic of Greece?". That fell short of the threshold of '50 percent plus one voter' that would have made it valid, even though 91 percent of those who did vote did back the deal. The fiasco sets the scene for the country's pro-EU leader, prime minister Zoran Zaev, to try to ratify the name deal via a vote in parliament. The referendum was non-binding, but its failure will make it harder for him to secure the two-thirds majority he would need to get it through. The flop will also give ammunition to nationalists in Macedonia and Greece to say the name accord has no popular mandate. "The people made a great choice and said 'yes' to our future. It is time for lawmakers to follow the voice of the people and to provide support," Zaev told press on Sunday. 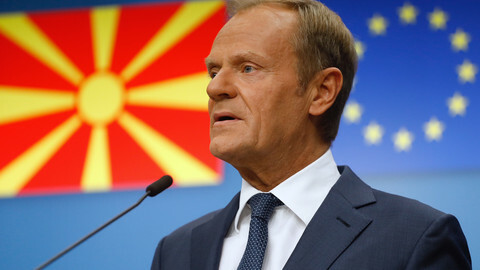 "I am determined to take Macedonia into the European Union and Nato," he added. "There will be no better agreement with Greece, nor an alternative for Nato and the EU," he said. If the parliament vote delivered a negative result, then he would have to resort to "another democratic tool" to try to save the accord, he added - alluding to snap elections. But the prime minister would require at least 80 votes - with opposition parties, who hold 49 seats, showing no signs of budging after Sunday's outcome. "The fact is that the name agreement did not get the green light, but a stop [sign] from the people," Christian Mickoski, the head of the opposition VMRO-DPMNE party, said. "The government received a debacle today," he said. "Those who voted against and boycotted referendum sent the message: this is Macedonia, Macedonians live here, Macedonian language is spoken here, this is the land of Macedonian predecessors," he added. The name deal would also need to be ratified by the Greek parliament to enter into life. Macedonia should "continue to implement this agreement", Greek leader Alexis Tsipras told Zaev by phone after the result came out. 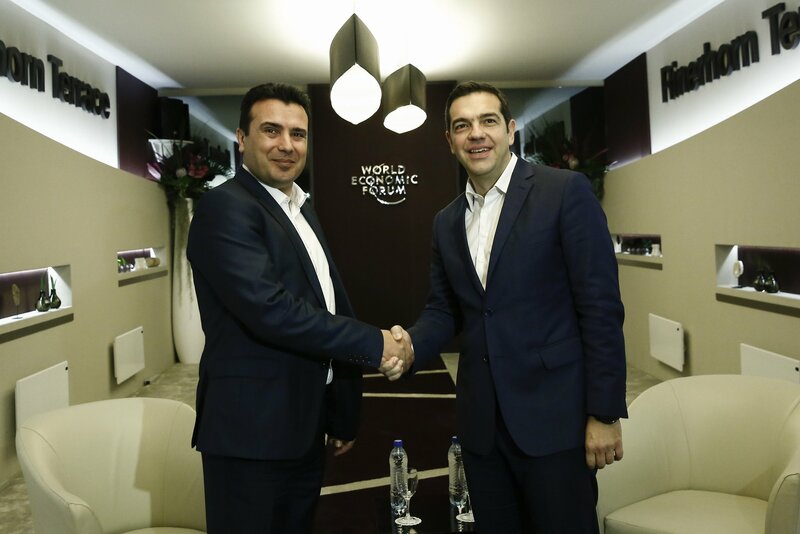 "If the agreement is implemented, it will be a pillar of stability in the Balkans", Tsipras said. But the nationalist triumphalism voiced by the VMRO-DPMNE on "the land of Macedonian predecessors" will not make it any easier for Tsipras to win domestic support. The fact that Tsipras' defence minister, Panos Kammenos, from a nationalist party in the Greek coalition, said on Twitter that the Macedonian referendum was a "failure" and that 68 percent of Macedonians had "canceled the [name] deal" also bodes ill for Greek ratification. Sunday's vote was meant to unlock a decades-old dispute that had seen Greece veto Macedonia's EU and Nato bids on grounds its name and constitution implied irredentist claims to a Greek region of the same name. The row began in the Balkan wars which ended in 1913, when Greece, Serbia, and Bulgaria partitioned Macedonia. Greece also expelled Slavic-speaking Macedonians from its territory after World War II. But the dispute goes back far further in history, with nationalists on both sides claiming that they were the true heirs of Alexander III of Macedon, also known as Alexander the Great - a fourth century BC king. Sunday's vote had seen EU and Nato figures flock to Skopje to urge people to vote. It had also seen Macedonia's conservative president Gjorge Ivanov urge a boycott of what he called the "criminal act" of the name-change. 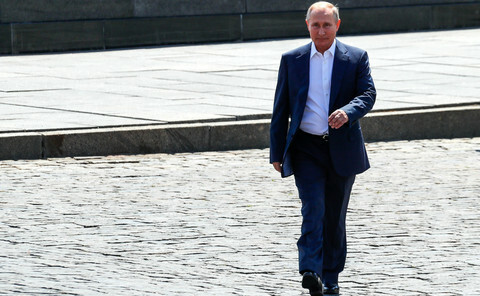 The nationalist side was bolstered by an online disinformation campaign, blamed by Skopje and Athens on Russia, amid Russian opposition to Western expansion in the region. "The climate of nationalism and suspicion, daily fake news, and extreme fanaticism unfortunately do not allow a sober assessment of the great benefits of the agreement," the Greek foreign ministry said on Sunday. 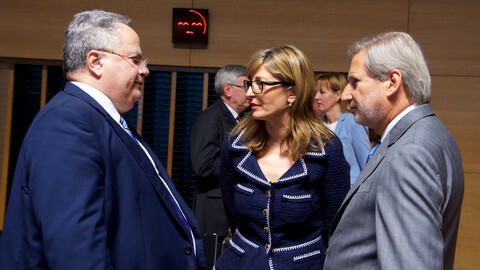 The EU's enlargement chief, Johannes Hahn, followed Zaev in trying to put a positive spin on events. "With the very significant 'yes' vote, there is broad support support to the Prespa Agreement and for to the country's Euroatlantic path," the Austrian EU commissioner said, referring to the name-change accord. "I now expect all political leaders to respect this decision and take it forward with utmost responsibility and unity across party lines, in the interest of the country," he said. 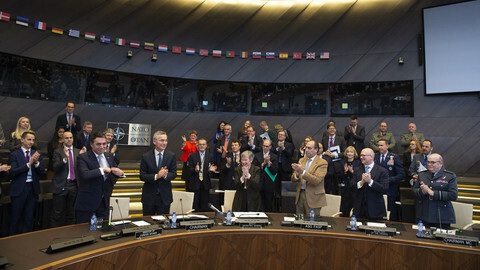 "I welcome the yes vote in the referendum," Nato chief Jens Stoltenberg noted. 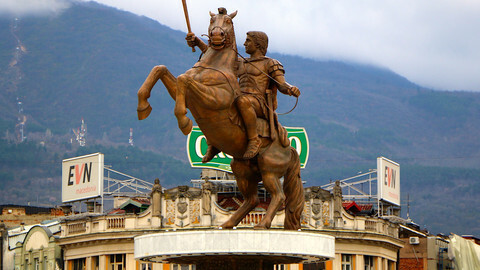 "Nato's door is open" and Macedonian MPs ought to "seize this historic opportunity," he said. 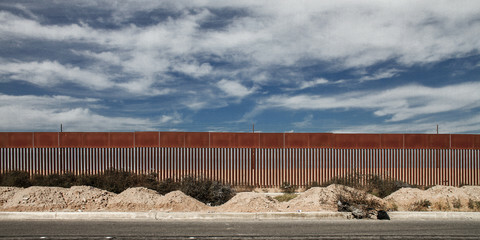 "We urge leaders to rise above partisan politics ... to secure a brighter future," the US state department also said. 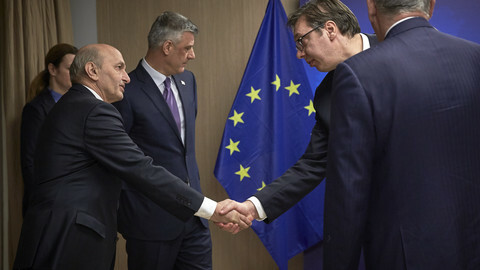 The deal would "contribute to regional stability, security, and prosperity," the US added, among concern that if people in the Western Balkans lost faith in EU enlargement, it could open a hornet's nest of old hostilities, just two decades after the last Balkan wars ended. 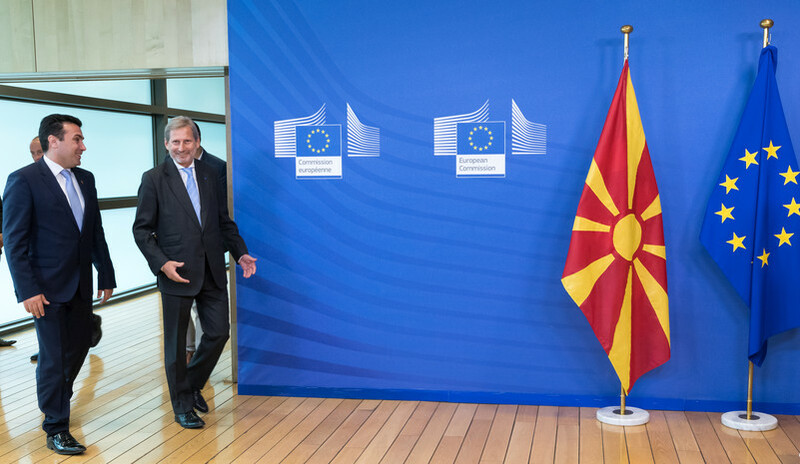 Breakthrough likely to see EU leaders open accession talks with Macedonia at summit in June and Nato invite Macedonia to join in July.